A passionate and dedicated teacher who has taught K-12 Phys Ed as well as Grade 7 & 8 Sciences for the past 9 years. His professional motto is “Would you want to be in your classroom?” and it is reflected in his daily teaching. Deeply passionate about engagement, student connection and relationships in the classroom and believes that when connected together properly, you can pique interest in all students. He also believes in innovation in the classroom where he is constantly challenging himself to put new practices into play – especially the concept of “Gamification”. Was a recipient of the 2013 Alberta Excellence in Teaching Award and the 2015 Gamification of Education Project of the Year. He has also been fortunate enough to share his ideas with 2 different TEDx groups, most recently with the University of Alberta and was Alumni of the Year in 2017 for Human Kinetics at Laurentian University. Scott was episode 14, so if you haven’t listened to his toughest gamification moments, top recommendations and daily life, you can click pause, go back and listen to that episode as well. This episode is completely different from our regular episodes since we have almost none of the regular questions but rather a mostly free-flow conversation about gamification in the classroom. His second book is in a way a more advanced one into gamification for those who have already had a head start into the implementation of these strategies in the classroom. He has given it also a cross-curricular view of education and of the gamified class. It includes more elements of game design. If you haven’t read the first book it might be slightly confusing because he does reference concepts of the first book. The first book is a skeleton of how to gamify a classroom which is populated with the “meat” which is your content as an instructor. It includes “choose your own adventure” elements and some story as well. He views it as the sword and shield to defend your gamification from others who might attack it. We also went into how there is a learning curve when implementing gamification in a classroom, how there might be an important frontload investment of time but then the rather small changes are quite easy to go about, you can include things as you see fit and just gets easier! When asked what to do if it is a first time and you are not sure if it is for you, Scott recommends an interesting and easy to start strategy which you can listen to in full detail during the episode. Of course, there are also critics that ask why would you even do this, if what you are looking for is to teach and not entertain. Scott asks, to begin with, if the alternative (the traditional way) is actually working. He’s also quite adamant with the fact that the learners today are not the same as 20, 30 or more years ago because there are, amongst others, all these distractions that constantly call our attention. He argues that he has seen astounding increments in actual grades and retention with gamification because the information sticks more. He used also a very successful strategy that he uses for a lesson in viscosity. In the new book, he has a more advanced view of gamification and he has delved deeper into his own spinoff of Dungeons and Dragons. Since he has recently changed his gameboard it has been a stronger element in his game and it has been adapting to his new classroom. We also went into the importance of gamification that includes physical elements. Scott has almost stripped his classroom from tech so they are more connected to the real world, which led us to the discussion of the importance of the feel that these elements have for engagement, which Yu-kai Chou calls the hidden core drive or “sensation”. Next, we went into what the change of the building his middle school meant for him, which meant he had a huge science classroom now. There are many new things that have changed and it has been incredible for Scott to up his game. 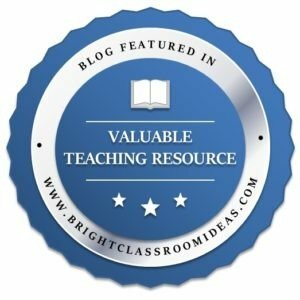 This lead to a discussion on the affordability of gamification for teachers and professors and how he has managed to do this. He mentions how it has really been a question of knowing what you are looking for and having the willingness to ask for those things and many times getting them for free! Since on episode 14 we didn’t seem to have done the random question, we went for one this time and it received an awesome recommendation from Scott, quite useful for many situations. Finally, Scott had something special in store for the Engagers… We will be giving away a copy of both of his books for those who participate through professorgame.com/masterheebs. There you will also find a special discount code if you want to get them both with a massive discount! We can find Master Heebs (also known as Scott Hebert every now and then) in places like his website is mrhebert.org or on social media Twitter and Instagram as MrHebertPE, on Facebook as The Gamification Guy or on YouTube as Master Heebs. There are also many ways to get in touch with Professor Game, you can go to my Twitter @RobAlvarezB, my Instagram, our Facebook Page, subscribe to our email list and even ask a question to future guests!